We examined tree diameter, age structure, and successional trends in 100 montane forest plots to identify the effects of variation in the return interval, severity, and extent of fires on forest structure and dynamics in the southern Cascade Range, California. We classified 100 forest plots into 8 groups based on stand structural characteristics. Median point fire return intervals were shortest in lower montane mixed conifer and Jeffrey pine–white fir stands (13-25 y) and upper montane red fir–white fir stands (14.5-19.5 y), intermediate in lodgepole pine stands (50-76.5 y), and longest in high-elevation red fir–mountain hemlock stands (100 y). Fire severity was mainly moderate to high in all forest structural groups except red fir–mountain hemlock. In the late 19th century, large, mostly high-severity fires burned through all forests. Fire extent varied among structural groups, burning from 13% to 85% of plots in a group on average. Stands differed in composition, but size and age structures were similar across structural groups, with few trees > 100 y old and peaks of establishment between 1895 and 1955 for all groups except red fir–mountain hemlock. Distinct pulses of tree recruitment followed the most recent (1883, 1885, 1889, 1918) large and mainly high-severity fires. Suppression of fire since 1905 has increased understory density of shade-tolerant, fire-intolerant species and caused forest compositional shifts, particularly in lower-elevation Jeffrey pine– white fir and mixed conifer stands, and lodgepole pine stands on well-drained sites. Structural or compositional change is less pronounced in upper montane red fir–white fir and red fir–mountain hemlock forests. The combination of gently sloping terrain with few fire breaks, extensive, moderate- to high-severity fires in all forest types and gradient positions and fire suppression has promoted homogenization of forest structure that may lead to large and severe fires in the future. Keywords: California, dendrochronology, fire regimes, fire severity, forest structure, vegetation dynamics. Bekker, Matthew F. and Taylor, Alan H., "Fire disturbance, forest structure, and stand dynamics in montane forests of the southern Cascades, Thousand Lakes Wilderness, California, USA" (2010). 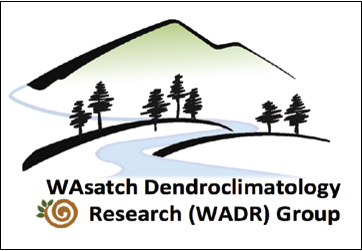 Wasatch Dendroclimatology Research. Paper 10.